Everyone Is Upset About New Surge and Prime Time. Should They Be? Recently, we featured a guest post from the perspective of a Chicago driver affected by Lyft’s potential new changes to Prime Time. A lot of of drivers understandably have many questions about Lyft’s new Prime Time, plus Uber’s changes for new surge. Senior RSG contributor Christian Perea tackles those questions, and how new surge/Prime Time may affect drivers, below. Uber and Lyft have been testing a major change to Surge and Prime Time over the last few months and recently announced they are expanding those tests to several other cities. That means it’s likely coming to the rest of us very soon. Whenever these companies change the way we get paid, the first question I always ask is “How does this change benefit Uber or Lyft?” and my immediate suspicion was that the new system would massively increase the overall take rate on Surge and Prime Time rides. Especially since we’re now often seeing a take rate between 30 and 40% on rides, it seemed like only a matter of time before the companies came for our Surge too! New Surge and New Prime Time (Lyft officially calls it Heat Maps, which is incredibly confusing) work basically the same way, Payout multipliers (ie 2.0x) are replaced with a set “bonus” amount that you get by driving into a surge area. When you drive into the area, the new surge “sticks” to you regardless of where the ride comes from or if surge goes away. In order to get it, you just have to be in it. The good news is that it’s easier to get surge when it’s there, since you are guaranteed to get a surge ride just for being in a New Surge area as opposed to the old system where you had to get a request originating within old surge. The bad news is that the fixed payout amounts seem much lower and on long rides, you won’t make nearly as much. So in the example above, if you’re on a +$2.00 surge zone, but you get a 1 hour ride on 2x surge, you’d only get an extra $2. You’d also get an extra $2.00 if your ride only goes a quarter mile. How Much Are Uber and Lyft Making From Penny Surge? I spent last week chasing down drivers who had been “selected” to participate in this experiment and got their full ride data to examine how this new scheme is affecting the commission that Uber and Lyft take from each ride. I wouldn’t have been able to research this without them (they don’t want to be identified personally and we always respect that here at RSG). Hat’s off to them nonetheless! 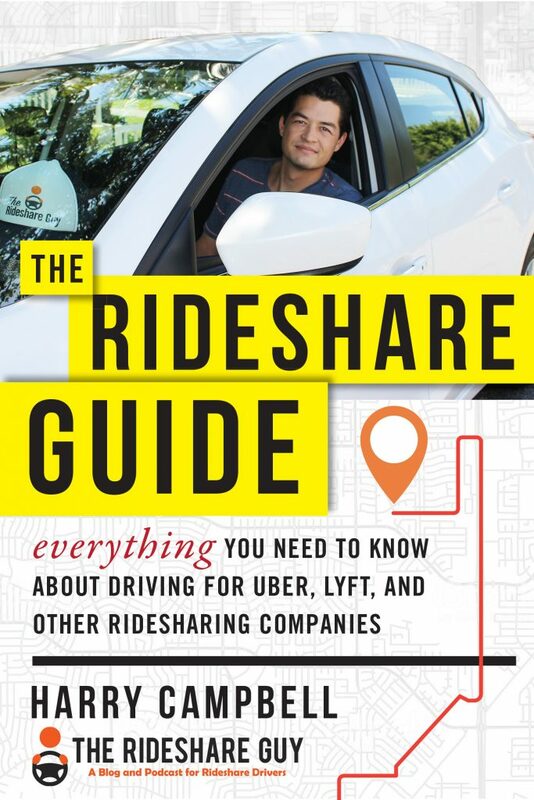 I examined a total of 52 “New Prime Time aka Heat Maps” Lyft rides and 79 “New Surge” Uber rides to figure out how much money Uber and Lyft were taking and find out just what’s in it for them. The volunteer drivers let me access their Lyft and Uber accounts remotely and sift through all of their rides so I could gather a full picture of their numbers. Drivers received compensation for their time and data. Getting the data on this was difficult, because I found that many drivers just didn’t have enough samples and understandably weren’t eager to offer up their login credentials to some guy on the internet. You can review all the numbers in our spreadsheet here. One thing that isn’t clear from these numbers is how much Lyft will change the way they deploy New Prime Time as their tests expand. It’s unclear if all the Prime Time the driver earned was organic and created from passenger demand versus simulated Prime Time as part of Lyft testing it out. Tampa was the first market to get this, so there has likely been a lot of algorithmic tweaking throughout the process. In this data, we find that Uber took more than 40% of the fare in 23 of 79 New Surge trips and more than 30% in 38 of 79 New Surge trips. I think this is important to point out because although the total take rate is 28.6% from all of the money involved, their take rate feels a lot higher when viewed on a trip by trip basis because we see a lot of these fares with take rates above 30% and even several above 60%. Then, when we see Uber losing money, it’s to a far lower degree and only on 9 of the trips. We’ve received hundreds of comments from drivers about this topic, I personally spoke to over 40 drivers last week for this article, and one thing really stood out: Everyone was livid. This made me anticipate much higher take rates from Lyft and Uber, but it turns out they weren’t anywhere as disastrous as I expected. A common theme I got from drivers was that they really didn’t like being experimented on by Uber and Lyft without their prior consent. This is important because it reflects a powerlessness that drivers feel as a result of Uber and Lyft controlling every aspect of how we earn money like we’re employees. The ire here isn’t misplaced. Lyft managed to mess up the rollout in new cities on May 21st. Drivers were unable to see where Prime Time was AT ALL for the entire day. Ultimately, those drivers paid the price for Lyft’s mistake. I didn’t see any compensation in return for it. Lyft claims they are reviewing their testing process and have since paused the Heat Maps / New Prime Time test in Chicago. My advice: Allow drivers to opt in to tests like these or reward them financially for doing so instead of forcing them into tests that are “going to be good for them” (paging SLR). 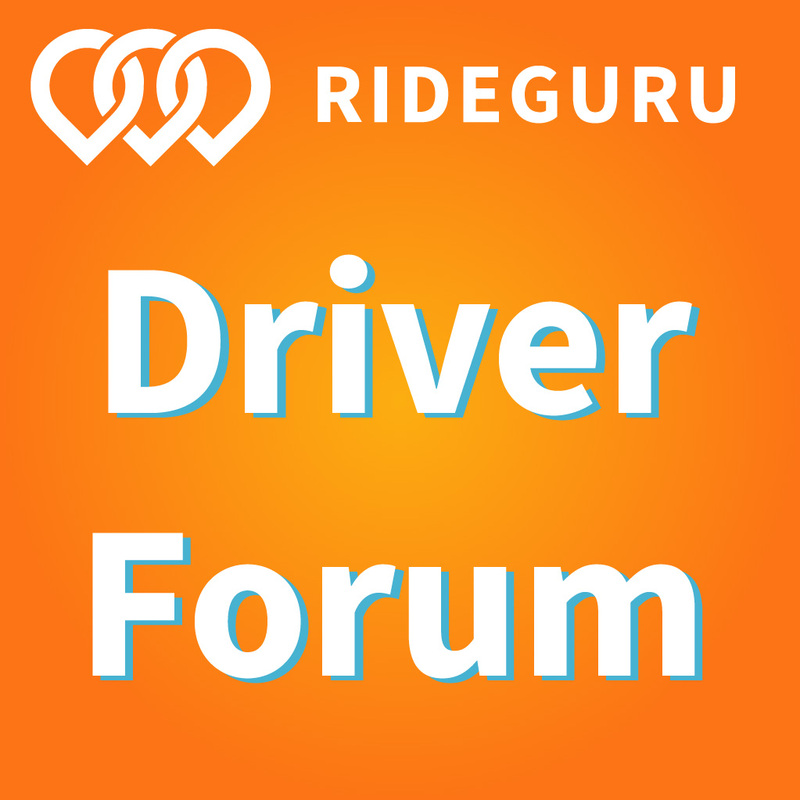 Driver receives a $4.64 “Ride Bonus” on a $108.97 long distance Prime Time ride. Lyft collects 60.1% of the fare. The massive upside is almost completely gone. We’re now relegated to predictable surge that is quite a bit less exciting. What I plan to do: I plan to cancel on long distance rides and tell my passengers that “If you wait another 15-20 minutes your ride home will cost you 50% – 70% less that it does right now. I can’t go that far though since I have another appointment”. In my judgement, it’s more beneficial to decline a long distance (45 min +) ride that only has a $2.00-$5.00 surge bonus attached to it because that bonus doesn’t make up for the dead miles I have to drive home and I’m more likely to get a group of regular rides that make sense at the $2.00 – $5.00 surge point. Uber has already announced that they plan to change long distance trips to pay more, so my strategy may change. According to Uber, they intend for drivers to at least make more than half of the fare on these long distance New Surge rides in the solution they deploy for this. My advice to Uber & Lyft: Leave the upside potential there for drivers – considering capping your take rate on long distance rides, or applying a bonus multiplier that is exciting. Even though long rides are rare, psychologically, it’s nice knowing that you have that chance to get a $500 fare. Even if it rarely happens! At time of publish, if you’re driving towards a New Prime Time Bonus Zone (but haven’t gotten inside of it yet) and get a request from within that bonus zone, you will not get any Prime Time, even though your passenger is paying extra. Our Advice To Drivers: If you decide to drive to a New Prime Time zone, turn off the app and log out until you get inside of it. Then log on. Lyft will probably fix this soon, because it makes the system less reliable as drivers log out during high demand events until they can guarantee they are in the zone. Uber had this problem in Charlotte, but they have since updated New Surge so that if you get a request from within the New Surge zone while not actually being in it, you still get paid Surge. Since Lyft and Uber usually copy each other, I expect Lyft to update this soon. Does the New Surge and New Prime Time Reflect Organic Demand? Drivers do not know if or how Uber and Lyft are putting their thumbs on the scale with the algorithms that determine these bonuses. Drivers don’t trust them to do the right thing because it’s in their interest to take more money from us, and they have a long track record of doing so when it benefits them. 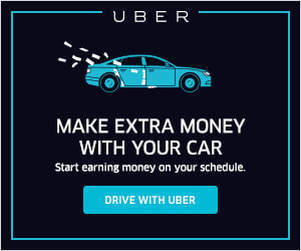 I was able to gather some evidence of this on the Prime Time algorithm in Tampa, showing a disconnect between what drivers are paid and what passengers are charged (in the driver and passenger’s favor). Above: Images taken at the same time show an active New Prime Time zone when it is not charging on the passenger side of the app. The above images (both taken at 2:37 a.m.) show Lyft paying a $15.50 New Prime Time bonus even though there is no Prime Time being charged on the passenger side of the app. This means Lyft would lose about $8 dollars on this driver’s next ride. It is unclear if Lyft is outright subsidizing New Prime Time in this instance or if this is just a part of how it works. It also makes me wonder if they are charging some passengers Prime Time before awarding a bonus zone to drivers to make the money balance out, especially since several of the drivers I spoke to noted Lyft’s new Prime Time system deploys about 5 minutes later than organic surge does on their Uber app. Whenever something changes, people tend to not like it for a while until they adjust. It’s just a natural factor of change, especially for apps and software – and especially when it involves money. We’ve been mentally programmed for the last few years to seek, hunt and hope for those long distance surge rides for BIG MONEY. When we succeed, our brains are rewarded like a rat in a Skinner box that just discovered 500mg of pure nicotine and we want MOARRR! Nothing feels better than getting that ride with a 45+ minute warning on 4.2x, going through with the ride, and then ending it to see that huge payoff. As soon as I see the big number, I instantly feel the chemical changes in my brain. The crappy minimum fare trips from earlier in the day fade to the back of my mind for just a few moments. The numbers I’m seeing right now don’t indicate that Uber and Lyft are often collecting an exorbitant amount of the fare, unless the ride is a long distance ride. Those rides are few and far between in general, but I think eliminating the huge upside of unicorn rides has really struck a chord with us as drivers because we’re often dependant on getting those high-margin rides to make up for the low margins rides throughout the day. Uber and Lyft seem to have invested a large amount of engineering and operational resources into this, so we strongly suspect these changes are coming to all or most markets over the next few months. It seems that both companies are still adjusting and tweaking the algorithms for New Surge/Prime Time and are watching closely how drivers react to it, so right now is the time to make your voices heard. Uber has already announced some important changes on making New Surge stick when you get a request from within a New Surge zone and their improving the situation on long rides. I don’t know if they’re perfect solutions yet, but it definitely reflects that these companies have not finalized this new system. On our end, we’re going to keep a close eye on this and soon will be following up with an article with some interesting strategies on how to take advantage of this new system. 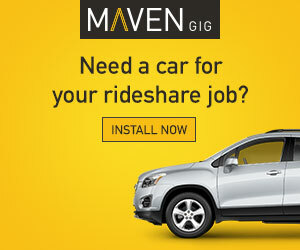 Drivers, have you experienced New Surge or Prime Time in your city? If not, what do you think of these new potential surge/Prime Time changes?